For any entrepreneur or corporate employer, the sound of doing your work in 4-hours and making a success sounds like the dream. And if you are a sceptic like myself, it may sound too good to be true. Well, essentially it is. The entrepreneur handbook, The 4-Hour Work Week by Tim Ferris is more a guideline to doing what is most efficient in the least amount of time. It does differ slightly from the usual time management course in that it does not encourage you to conform to normal office “time management tricks” like making lists, drawing up priority boxes, or starting with the most difficult task first. In fact, most of the principles taught in this book are down right crazy. And I think I might just like that. So this book promises to give you that lifestyle in a four easy steps. Using the D-E-A-L principle: Definition – Elimination – Automation – Liberation. Here is a summary of those steps. Definition – how many times do people ask “what do you do?” It’s crazy and unfortunately a real phenomenon that people equate your 9-5 with your identity and who you are as a person. So the first step is to change the definition. Ask yourself the question “what excites me?” and that should be what you do. Sounding like the mushy “do what you love” phrase but I do think it holds some truth. If you are waking up excited for that day, then it makes getting through the day much easier. Oh and while you’re trying to figure out the question of what excites you and how you can monetize that, just lie to people awkwardly about what you actually do for a living (this is a real tip in the book I swear). When people ask Tim what he does, he replies “I’m a drug dealer”. Apparently most conversations stop after that point. Elimination – this chapter hones in on two principles. First, the Pareto Principle, the 80/20 rule. And secondly, Parkinson’s Law, the concept that limited time maximises effort needed. The former involves streamlining your resources and focusing only on those revenue streams which bring big profit with minimal effort. The latter is more interesting by stating that putting time constraints on yourself allows you do work in the shortest amount of time needed. Think about the principle of working 9-5. How is it that every single company, in every industry, all over the world makes their employees work in the 9-5 bracket? Well, it’s just that we’ve been conditioned to work that way. I remember my first few weeks at an engineering company, I was bored stiff by 11 am. I’d eaten my lunch and afternoon snacks before midday. People in the office shuffled around, read Women’s Health articles, checked if the aupair was still picking up their kids more than actually doing real work. Basically there is a lot of fluffing around.. and why? Because we’ve been given these 8 hours as the standard work frame. If we were given 15 hours, we would sit in the office and fill up those hours with work and sundry things. So… what if we only had 2 hours a day? How would you structure your day to get those things done in a smaller constraint of time? One good example Tim uses is that he booked meetings with senior execs at 7:30 am or 18:00, most execs are in the office at those times, but most of them don’t have meetings with other sales people during that time. So instead of booking 2 or 3 meetings in the 9-5 slot, having it shifted when the exec has other important meetings that come up, he managed to see 5 execs per week where his competitors were seeing a maximum of 2. Liberation – so this is the holy grail of the New Rich. To liberate yourself to work minimal hours in order to sustain a living where you have time to travel and be with your family and friends. The tips here are really great. He gives practical advice on setting up a business online, travelling to teach English or another skill you may have of value in another country. Also, he details how to liberate yourself from your corporate job or your own business. The basis is to apply all the steps above in order to *insert Instagram ocean picture here* live your best life. Visit his blog fourhourworkweek to get the detailed scoop. 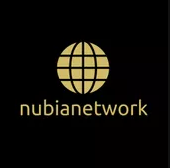 Or check out nubianetwork.com for local online business activation.